Have you ever been told that you’re “too sensitive” or need to toughen up? Do you feel exhausted and anxious after being in crowds or around certain people? Do you have a sensitivity to light, sound, and smells? Or perhaps it takes you longer to wind down after a long day at work? If you answered, “yes” to these questions you may be an empath. To determine how empathic you are take the following self assessment test. 1. Have I’ve been labeled as “overly sensitive,” shy, or introverted? 2. Do I frequently get overwhelmed or anxious? 3. Do arguments or yelling make me ill? 4. Do I often feel like I don’t fit in? 5. Am I drained by crowds and need alone time to revive myself? 6. Am I over stimulated by noise, odors, or non-stop talkers? 7. Do I have chemical sensitivities or can’t tolerate scratchy clothes? 8. Do I prefer taking my own car places so I can leave early if I need to? 9. Do I overeat to cope with stress? 10. Am I afraid of becoming suffocated by intimate relationships? 11. Do I startle easily? 12. Do I react strongly to caffeine or medications? 13. Do I have a low pain threshold? 14. Do I tend to socially isolate? 15. Do I absorb other people’s stress, emotions, or symptoms? 16. Am I overwhelmed by multitasking and prefer doing one thing at a time? 17. Do I replenish myself in nature? 18. Do I need a long time to recuperate after being with difficult people or energy vampires? 19. Do I feel better in small cities or the country than large cities? 20. Do I prefer one-to-one interactions or small groups rather than large gatherings? If you answered yes to one to five questions, you’re at least partially an empath. Responding yes to six to ten questions means you have moderate empathic tendencies. Responding yes to eleven to fifteen means you have strong empathic tendencies. Answering yes to more than fifteen questions means that you are a full blown empath. Being an empath is different from being empathetic. Being empathetic is when your heart goes out to someone else. Being an empath means you can actually feel another person’s happiness or sadness in your own body. In empaths, the brain’s mirror neuron system – a specialized group of cells that are responsible for compassion- is thought to be hyperactive. As a result, empaths can absorb other people’s energies (both positive and negative) into their own bodies. At times it may even be difficult to tell if your are feeling your own emotions or someone else’s. There are different types of sensitivities an empath may experience. Physical empaths, for example, are especially attuned to other people’s physical symptoms and absorb them into their own bodies. Emotional empaths pick up on people’s emotions and become a sponge for their feelings, both happy and sad. Food empaths are another type of empath who is attuned to the energy of food and may even experience sensitivities to certain foods. Being empathic has incredible benefits such as greater intuition, compassion, creativity and a deeper connection to other people. But living in this state of high sensitivity also comes with its challenges such as becoming easily overwhelmed, over-stimulated, exhausted, or absorbing the stress and negativity of others. If a person isn’t aware that he or she is an empath, everyday interactions that others find tolerable could be causing and empath stress. Those who are not aware of their empathic abilities may be inclined to use food, alcohol, and drugs to unconsciously numb their emotions. Empaths are the medicine the world needs and they can have a profound impact on humanity with their compassion and understanding. As you learn to identify your special talents, you will find that you not only enrich your life but you can enrich the lives of others too. The key skill is to learn how to take charge of your sensitivities and learn specific strategies to prevent empathy overload. Learn more about empaths and the power of your intuition from Dr. Judith Orloff as we host her IGNITING THE POWER OF YOUR INTUITION & EMPATHY retreat this April 12-14th, at the Art of Living Retreat Center. 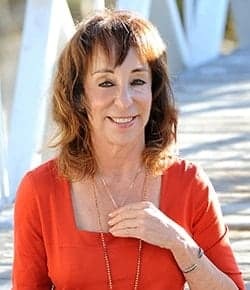 Judith Orloff, MD is the New York Times best-selling author of The Empath’s Survival Guide: Life Strategies for Sensitive People. Dr. Orloff is a psychiatrist, an empath, and is on the UCLA Psychiatric Clinical Faculty. She synthesizes the pearls of traditional medicine with cutting edge knowledge of intuition, energy, and spirituality. Dr. Orloff also specializes in treating empaths and highly sensitive people in her private practice. Dr. Orloff’s work has been featured on The Today Show, CNN, Oprah Magazine, the New York Times and USA Today. Dr. Orloff has spoken at Google-LA and has a TEDX talk with over half a million views. Her other books are Emotional Freedom, The Power of Surrender, Second Sight, Positive Energy, and Guide to Intuitive Healing. Explore more information about empaths and intuition on www.drjudithorloff.com.